Peer pressure. That feeling that you have to do something to fit in, be accepted, or be respected, can be tough to deal with. The desire to fit in and feel like you are a part of a group is normal. Many people feel this way sometimes, especially in teen and early adult years. It can be obvious (friends telling you to do something) or less direct (seeing others at a party drinking alcohol and feeling left out if you don’t do the same). Dealing with this pressure can be challenging, but it’s important to reflect on your own values and preferences and make decisions on those rather than peer pressure. Peer pressure comes in many different forms. Some forms are somewhat harmless while others lead to decisions that can follow a teen for the rest of his or her life. For example, when a teen is pressured to take an illegal substance, that choice may lead to addiction. Sometimes, teens are able to leave behind their bad decisions. Other times, they lead to lifelong problems. 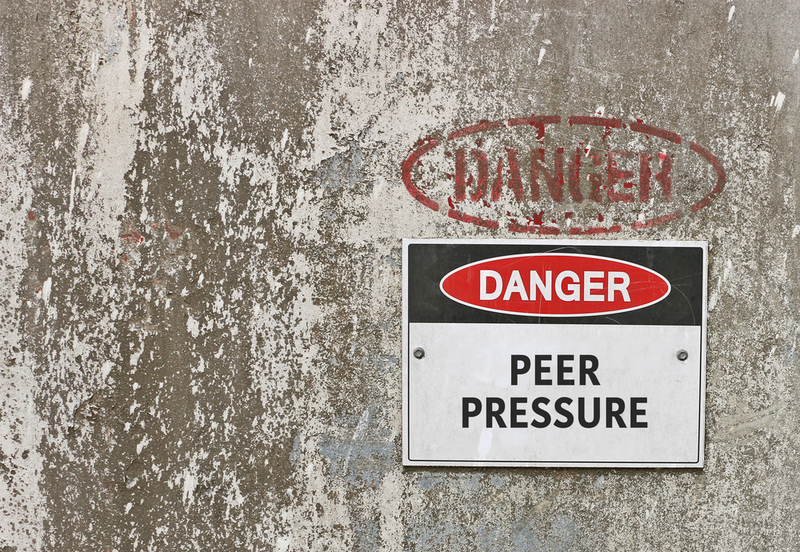 There can be serious risks involved with peer pressure. Usually, most teens are not applauded for their logical thought process. Some may feel invulnerable, like “nothing bad will ever happen to me.” It is important to assess the risks that follow peer pressure. Consider these questions before following temptations. Could this harm me physically? Could this harm someone else? Could I go to jail? Experiences with a mental health condition can affect the mind and body in different ways, especially in the young and developing brains of students. Every high school student has gone through it; being considered the clueless “babies” of the school, walking into a new world. It is easy to take certain luxuries in life for granted. Last year, Nutley High School began implementation of the Rotating Drop Schedule, which gives a common lunch hour to the entire school - students and staff. Senior year is full of surprises and fun activities, such as prom, the senior fashion show, and most importantly, applying to colleges. As a student at Nutley High School, one can definitely say that the academic portion of the school day is taken very seriously.